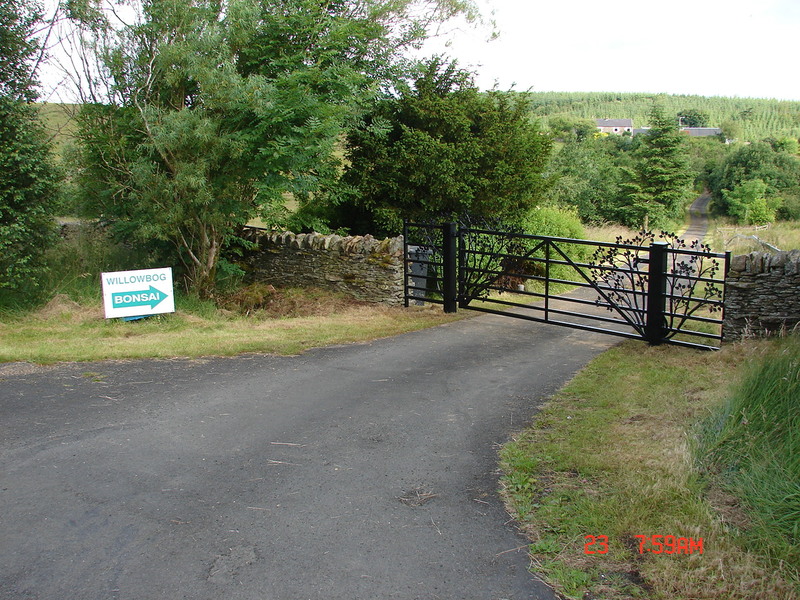 Our nursery is located in a very picturesque part of the Northumberland National Park as well as nestling in the southern most section of the large and famous Kielder Forest. You simply could not ask for a more scenic and inspirational setting than Willowbog Farm. The peaceful atmosphere at the nursery is great for furthering your understanding of the art at one of our workshops or simply browsing the wide selection of bonsai and bonsai raw material available. We have now been open for more than twenty years and in that time have amassed a fund of knowledge about what is required to pursue the hobby, particularly in relation to the particular condition prevalent in this northern region. In an effort to continually expand every enthusiast’s understanding of bonsai, including of course our own, we have always brought in more experienced practitioners of the art, to that end we have been working for several years now with the excellent, Japanese trained, Mr. Peter Warren, learning more at of his three visits per year. With it’s unique location and atmosphere Willowbog Bonsai is the best place to service all your bonsai needs. Many thanks to one of our regular contributors, affectionately known as Bonsai Eejit, for the video made about Willowbog Bonsai – we strongly recommend you read his blog, as well as our own blog, of course. We hope you enjoy looking through our website and invite you to visit Willowbog to experience the unique nature of our Bonsai centre. Please do not hesitate to contact us if you would like any further information.